Call Us Today! 1.980.207.2732|Tire Problem? We Can Help! Any Make or Model! Do you know your vehicle winter driving tire pressure…! It’s easy to forget that tires are the only point of contact between your vehicle and the road. That is why it’s extremely important to preserve the quality and performance of your tires to ensure both your safety and your mobility. Did you know, the area of your tire that’s actually in contact with the road is only about the size of your hand? Your safety, comfort and fuel economy depends on that very small area. Make sure you not only select the right tires, but also regularly maintain them to ensure they perform at their best. It’s important because your tires are the only link between your vehicle and the road, carry the entire weight of your car, a load of up to 50 times their own weight, respond to driving inputs such as steering, acceleration and braking from the car to the road surface, and Absorb every obstacle on the road. Make sure to regularly check the tread depth of your tires and replace them when they are worn. This will guarantee maximum traction and grip, helping you avoid any unpleasant surprises. Change your tires before your tread depth is worn to 1.6mm. The tread grooves disperse water from underneath your tire, helping maintain control. The more tread depth you have remaining on your tires the more water they can disperse, reducing the risk of aquaplaning. Correct air pressure, as well as regular vehicle maintenance, will ensure your tires perform at their best for the longest possible time. Correct tire pressure reduces the risk of losing control of your vehicle. It also protects your tires from premature wear and irreversible damage to the internal construction. Tire pressure can drop due to small perforations, the natural escape of air (air leaks) through the tire’s components, or even from a decrease in ambient temperatures. Under or over inflation can reduce the life of your tires, affect their performance and increase the risk of damage. Use the proper air pressure on a plaque riveted inside the driver’s front door. This is the car manufacturer’s recommended pressure, based on the weight of the car and the manufacture’s tire size. Most cars now have a tire pressure warning light that illuminates if pressures are outside 25% of baseline – if you see that, you must correct the air pressure or find out the reason for air leaks. Too much pressure can be as bad as or worse than too little. Stiffer tires will transmit more energy from an impact to the wheels than tires that can flex a bit. To get consistent readings always check your pressures before driving when the tires are cold. If you must add air to hot tires, leave a pound or two less than usual, depending on how much cold air you are adding. When cold weather comes around, make sure to check your pressures on frigid mornings – air pressure can drop about 1 psi for every 10 degree drop in temperature. Combined with cold-stiffened rubber, this loss of pressure can sometimes cause tires to spring otherwise unexplainable leaks. Running at low pressure on the tire for a sustained period of time can damage the sidewall of the tire as it starts to fold over. Just a little bit of fold over will damage the sidewall of the rubber, but at a certain point the sidewall folds enough that the inner edges touch, and this will start to scrub rubber off the inside of the tires, leaving the cords exposed, and handfuls of “rubber dust” inside the tire. At that point, the tire is destroyed. 2007 model or later; will have a “low tire pressure” light on the dashboard and the benefits of TPMS is to warn you before the damage occur. Air pressure maintenance is actually one of the most important repeating maintenance items on your car. Proper air maintenance will give better gas mileage, avoid irregular wear and extend the life of your tires by thousands of miles. If it’s not part of your maintenance routine – and for millions of drivers, it’s not – you really should come and visit BINGO TIRES-Charlotte once a month. Following your vehicle’s factory AUTO MAINTENANCE SERVICES schedule will certainly lead to a positive driving experience and longer life for your vehicle. Be proactive and save yourself headaches, hassles and the risk of dealing with major problems and costs down the road! Many batteries are advanced and no longer require too much maintenance. To be on the safe side, you should know where your car’s battery is located and check it periodically to ensure it is not leaking acid and has adequate water in it to prevent it from failing. Most batteries also have a condition indicator that displays different colors to indicate how the battery is functioning. Blue means the battery is functioning normally, Red means it’s time to add distilled water, and White means charging is necessary. Simple directions can usually be found on the side of the battery. Our auto repair will gladly examine and replace your battery, as needed. Antifreeze keeps your engine temperatures stable in all climate and driving conditions. Always be sure you have the right level of antifreeze in your car. Invest a few dollars in a bottle of antifreeze and keep it handy. Antifreeze should always be added when the engine is cool. If the engine is warm, use caution. Use a funnel as you would when adding motor oil to avoid splashing this greenish, toxic chemical on other parts of the car. About 32 psi on a gauge is about average for a mid-sized sedan, but check your owner’s manual to be sure. Slightly deflated or unbalanced tires will not only cause shakiness when you drive at highway speeds, but will eventually warp the tires and reduce your gas mileage. A way to avoid this is to always replace new tires in pairs so you can put the new ones on the front and move the old front ones to the back. This usually lets you get more use out of them. Our tire shops carry top-of-the-line tire brands for when your tires are worn and not safe to drive. The air filter on the engine, called the air intake, prevents dust and dirt from entering the engine. Take care of your engine by replacing your air filter when necessary. Checking the air filter only takes a few minutes, and our mechanics would be glad to change the filter for you. Tire: When the tread is worn down to 2/32 of an inch, tires must be replaced. All tires have “wear bars,” which are small, raised bars of rubber in the groove that indicate when tires are worn out. If your tread is worn down to the wear bars, it’s time for a new tire. Radiator Flush: The coolant in your radiator doesn’t last forever and over time it can break down and start to corrode the inside of your radiator. A radiator flush once a year is cheap insurance against radiator repairs. Headlights: Take a good look all around your vehicle headlight and stoplight, you may find out that you need to replace a bulb or two. Not only is it unsafe to drive with one headlight, you can get a ticket! Belts & Hoses: Have belts and hoses checked to ensure that belts are not worn and fittings are tight. Brake Inspection: Have your brakes inspected twice a year just to be sure everything is in perfect condition. Battery: Ensure that the battery is charged and that contacts are clean. Tire: Check the tire pressure. Cold weather can reduce tire pressure by 1 psi for every 10 degree drop in temperature. If you have a spare tire in the trunk, check it for damage and pressure as well. Antifreeze: Antifreeze (the juice that goes in your radiator) is an essential part of your car’s winter protection. Your car contains a 50/50 mix of water and antifreeze. Make sure the level is full and the mixture is close to 50/50. Windshield washer fluid: You’ll be using lots of washer fluid as you try to keep your windshield sparkly. *Tip: Don’t fill your washer fluid reservoir with anything except washer fluid, it won’t freeze! Spark plug wires: Plug wires affect performance, gas mileage and general reliability. Be sure yours are in top shape. Your car is an investment; protect your investment by keeping up with the car maintenance services during the four seasons of the year. When it comes time to sell your car or make repairs, having maintained some of these basic areas will really pay off. BINGO Tire shop is centrally located in Charlotte Area. Stop by or give us a call to have your vehicle maintenance areas checked over by our highly trained professional auto technicians! Cheap New Tires Charlotte NC Prices Takes BINGO by storm and did you know that customers who visit BINGO Tires are more likely to purchase their tires of choice with big savings. If you need new tires for your vehicle, try calling or visiting BINGO TIRES to put an end to your search. *All above closeout prices include tire mounting and balance but without tax and disposal fee. Call BINGO for size and price; Look no further … Best Tire, Best Price and Best Service. BINGO is a trusted Tire & Auto Repair business name in the Charlotte Metropolitan area by BBB for most affordable prices without compromising quality or service. Our professional and uniformed staff works toward the goal of making your every request answered and helps you make right choices. Tire rotation is one of the important auto maintenance tasks to do, and it’s very easy. Tire rotation can extend the life of your tires, help with gas mileage and ensure that your car handles the road condition. BINGO TIRES – Charlotte performs Tire rotation $18 for most cars. Uneven wear can be the result of a mechanical problem with the car. If the tires aren’t aligned properly, some of the tires will tend to “drag” and wear poorly. Tires that are improperly inflated also wear unevenly. The key to avoid uneven tire wear is regularly moving each tire to a different corner of the car. This way, each tire experiences a variety of wear patterns over time, and wears out at the same rate as the other tires. Tire rotation is recommended range from every 3,000 to 7,000 miles. As a rough estimate, rotating your tires every other time you change your oil should keep them wearing evenly. The exact rotation pattern depends on the vehicle and the tires themselves. Simply move rights to the left and lefts to the right. If you have a full-size spare tire (that is, a real tire, not a small “donut” spare), you should include the spare in the rotation so all five tires wear evenly. Don’t overlook tire rotation. Just a few minutes of maintenance will keep your tires wearing evenly, improving your car’s handling and overall performance. Tire rotation is the practice of swapping the front tires of a car with the back tires at regular intervals. The basic idea behind this is to extend the life of the tires by allowing more even treadwear. Some specialty tire manufacturers do not recommend the practice for their customers, but most cars benefit from it. Some tire stores even include tire rotation as part of their service contract. Should I buy new or used tires? My tire is almost worn out so I was thinking of getting a new one. I’ve gotten used tires in the past that have worked out just fine, but am wondering if it’s a better idea to simply get a new one instead. Some of my used tires have lasted me many years, so is there a big difference? For me, that would depend on what the plans are for the car. If you’re planning to keep it for a long time, longer than what most tires are designed for, I’d go for brand new ones. If the car is just temporary, go for the used or get the least or lesser expensive brand new ones. What’s the benefit of new tires as opposed to an old one? For new tires, you know what you’re getting and they will more than likely have a warranty. As for old tires, depend what the plans are for the car and your current financial status. Visit BINGO TIRES CHARLOTTE , you always can get some good tires at good prices that cannot be beat by anybody else, including the mounting fees. You also can buy 2 tires at a time unless you have money for all 4. Make sure if for instance you need a front left tire. Replace both front left and front right with NEW TIRES. You should replace all 4 tires so that way they wear out together with new tires you’re going to have more tread which will help with traction you will get more wear out of a new set of tires but keep in mind at BINGO USED TIRES you will get set for less than 66% of new tire prices. I frequently buy almost new tires that are less than a forth the cost of new. It is true it is not often you can get all 4 the same, but at BINGO TIRES they have sets of used tires for cars, light trucks, SUV’s and all tires are in good and they display all tires on racks, go check them out..
How to buy used car tires? Should I buy a used tire or buy a new set of 4? Do used tire places buy tires? Tire places in Charlotte NC. BINGO TIRES; sells, services and installs Tires. We sell top name brands new tires at best possible prices in Charlotte. We have great quality used tires with affordable prices and warranty. BINGO TIRES is OPEN 7 days a week. Call or Visit Today! A tire (U.S. English) or tyre (British English) is a ring-shaped covering that fits around a wheel’s rim to protect it and enable better vehicle performance. Most tires, such as those for automobiles and bicycles, provide traction between the vehicle and the road while providing a flexible cushion that absorbs shock. – The tread provides traction: The tread is the part of the tire that comes in contact with the road surface. 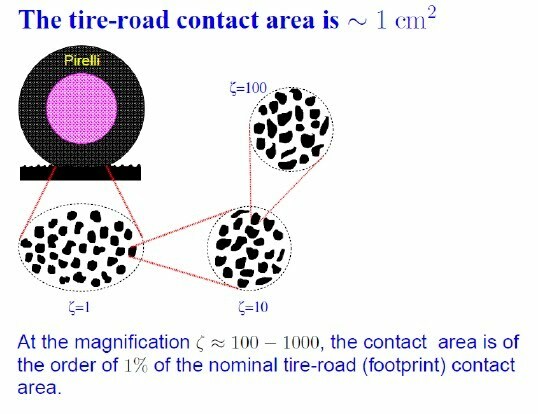 The portion that is in contact with the road at a given instant in time is the contact patch. The tread is a thick rubber, or rubber/composite compound formulated to provide an appropriate level of traction that does not wear away too quickly. The tread pattern is characterized by the geometrical shape of the grooves, lugs, voids and sipes. Grooves run circumferentially around the tire, and are needed to channel away water. Lugs are that portion of the tread design that contacts the road surface. Voids are spaces between lugs that allow the lugs to flex and evacuate water. Tread patterns feature non-symmetrical (or non-uniform) lug sizes circumferentially to minimize noise levels at discrete frequencies. Sipes are valleys cut across the tire, usually perpendicular to the grooves, which allow the water from the grooves to escape to the sides in an effort to prevent hydroplaning. Treads are often designed to meet specific product marketing positions. High performance tires have small void ratios to provide more rubber in contact with the road for higher traction, but may be compounded with softer rubber that provides better traction, but wears quickly. Mud and snow (M&S) tires are designed with higher void ratios to channel away rain and mud, while providing better gripping performance. Specialized tires will always work better than general/all purpose/all weather tires when being used in the conditions the specialized tires are designed for. – The body provides containment for a quantity of compressed air: Sidewall Uneven sidewall wear, down to fabric plies, due to significant under-inflation. The sidewall is that part of the tire that bridges between the tread and bead. The sidewall is largely rubber but reinforced with fabric or steel cords that provide for tensile strength and flexibility. The sidewall contains air pressure and transmits the torque applied by the drive axle to the tread to create traction but supports little of the weight of the vehicle, as is clear from the total collapse of the tire when punctured. Sidewalls are molded with manufacturer-specific detail, government mandated warning labels, and other consumer information, and sometimes decorative ornamentation, like whitewalls. Shoulder: The shoulder is that part of the tire at the edge of the treadas it makes transition to the sidewall. Ply: Plies are layers of relatively inextensible cords embedded in the rubber to hold its shape by preventing the rubber from stretching in response to the internal pressure. The orientations of the plies play a large role in the performance of the tire and is one of the main ways that tires are categorized. Pneumatic tires are manufactured in about 450 tire factories around the world. Over one billion tires are manufactured annually, making the tire industry a major consumer of natural rubber. It is estimated that by 2015, 1.72 billion tires are expected to be sold globally. In 2004, $80 billion of tires were sold worldwide; in 2010 it was $140 billion.